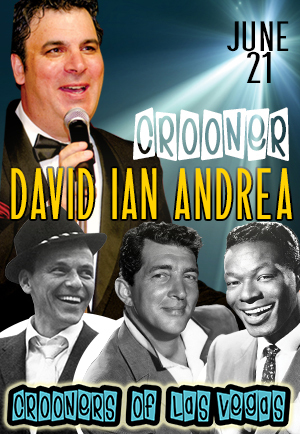 David Ian Andrea has Crooned all over the Northeast part of the United States and Canada. He now performs at various events such as Anniversaries, Weddings, Parties and much More! He routinely is a Wedding Singer in Hamilton, Toronto and beyond. His Song book is varied from, Frank Sinatra, Bobby Darin, Elvis Presley, to Dean Martin, Nat "King" Cole to just name a few. His voice is a ship that sets his audience sailing back into time, when nightclub minstrels sang pure of heart, and always of love.